Conceptive C is an AI programming Language based on Objective-C and C Language. It is a superset of both languages and is designed to work with Apple Mac OS X and iOS. 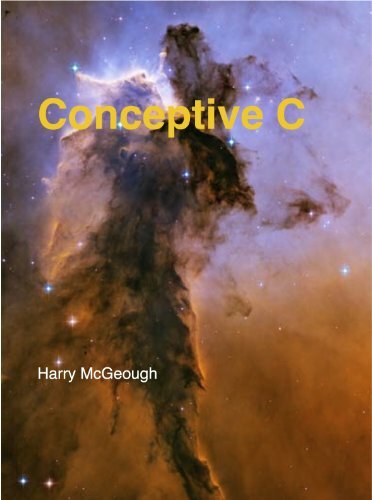 Conceptive C uses concepts to program natural language and Artificial Intelligence based computer language based on Objective C.
The book presents a programming style that automatically detects bugs in C code. It describes a technique that results in bug-free code from the beginning, advocating a style of coding based upon data abstraction and run-time object verification. This guide provides a useful look at the standard C programming language. It will not teach one how to program in C, nor will it attempt to provide the history of C. It is merely a handy reference to the standard C library. The book teaches GNU users how to write software in C. It is written as a tutorial for beginners but should be thorough enough to be used as a reference by experience programmers. The basics are layed down in full in the first few chapters.